A diverse and versatile guitar player, Luca plays electric, acoustic and classic guitar with a style that covers everything from jazz standards and bossa nova to funky, fusion and blues. His creative talent allows him to take part in a wide range of musical ventures alongside national and international artists. Luca di Luzio is a graduate of the Conservatorio di Musica Frescobaldi di Ferrara music conservatory in Italy, with a degree in Jazz guitar. During the course of his extensive studies he has attended seminars and masterclasses with Pat Metheny, Mike Stern, Mick Goodrick, Jim Hall, Joe Diorio, John Abercrombie, Wolfgang Muthspiel, Donovan Mixon, Jim Kelly, and Garrison Fewell. His studies in harmony and guitar continue with Les Wise and Dean Brown. 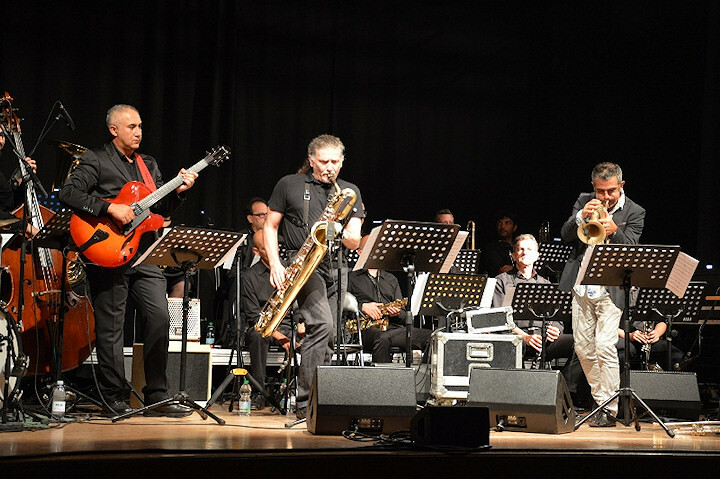 During his concert career Luca has played with many national and international artists, including Jimmy Haslip, Marvin Smitty Smith, Roberto Spadoni, Marco Tamburini, Max Ionata, Fabrizio Bosso, Paolo Fresu, Massimo Manzi, Javier Girotto, James Newton, Bob Stoloff, Tom Sheret, Teo Ciavarella, Giancarlo Schiaffini, Lauren Bush, Barend Midelhoff, James Monque D., Howard Paul and Garrison Fewell with festivals and concerts in Europe and the United States. A member of the SIDMA Orchestra from 2008 to 2013 he has also played with the Jazzlife Orchestra and the Conservatorio Frescobaldi Big Band. His work with Bob Stoloff allowed him to take part in seminars and workshops throughout Europe accompanying the participating singers in their final, on stage performances in local Jazzclubs and theatres. In 2008 Luca founded the Barioca 4ett with Flavio Piscopo, Tom Sheret and Chica Piazzola, playing in over 100 concerts. In 2010 he founded the Luca di Luzio Electric Trio with Stefano Peretto and Pier Mingotti. 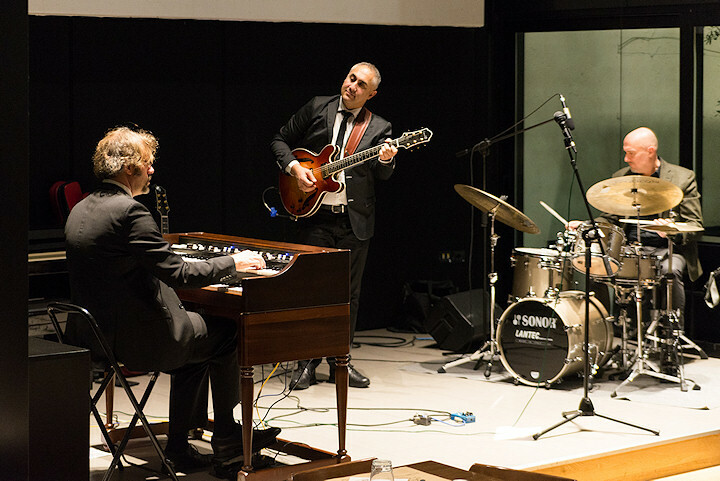 2016 saw the creation of the LdL Blue(‘s) room trio, an Organ trio with Sam Gambarini on the Hammond and Max Ferri on drums. The group plays regularly throughout Italy and often features the Canadian singer Lauren Bush. 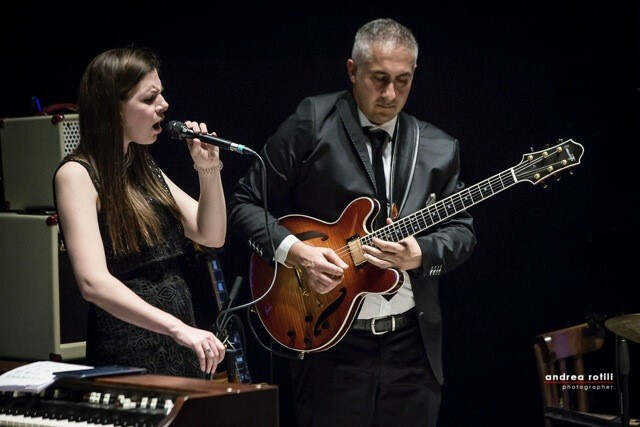 In 2017 Luca di Luzio Blue(s) Room Trio recorded a CD entitled "Music for a Rotary Life" featuring Lauren Bush (vocal) and Alessandro Fariselli (sax). 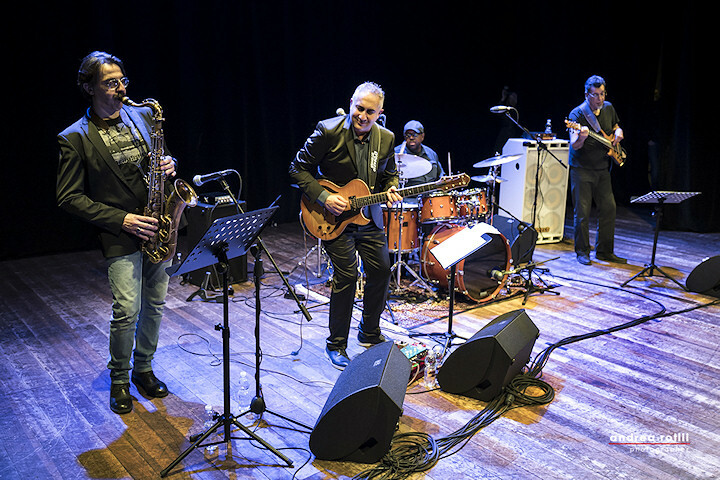 In 2018 Luca started cooperating with Jimmy Haslip, who is producing Luca di Luzio's first recording project, played by Jimmy Haslip himself on bass, Dave Weckl on drums, George Whitty on keyboards and Max Ionata on saxophone. In March 2018 Luca toured in Italy with Jimmy Haslip, Marvin Smitty Smith and Max Ionata to promote the upcoming CD. In his role as endorser for several leading musical instrument and accessory companies, including Benedetto Guitars, Dv Mark amps, D'Orazio Strings, Reference Laboratory for Reference Cables, G- Lab pedals, guitar cases and straps for Stefy Line and Timber Tones picks, Luca demonstrates at numerous national and international shows and fairs such as SHG, the Frankfurt Musikmesse and the NAMM Show in Los Angeles. 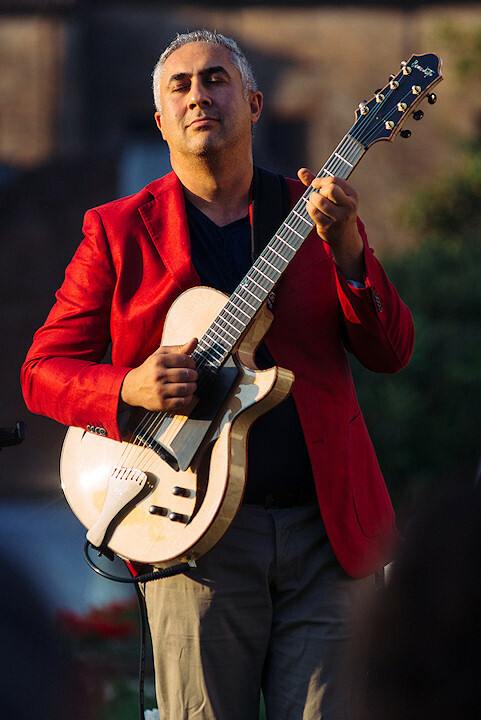 With Benedetto guitars he has taken part in masterclasses at the Music conservatories of Pesaro and Pescara alongside Howard Paul (CEO of Benedetto Guitars) and at the Berklee College of Music in Boston, with Howard Paul and Garrison Fewell. Luca has designed a complete line of effect pedals and guitar accessories with G-Lab. His work as a recording artist is ongoing in his recording studio in Cesena. In 2015 Luca started performing with his 7 string guitar.